What is Spiritual care ? We recognize that healthcare involves treating the whole person and that spiritual wellbeing can help improve health and quality of life. Spiritual care attends to a person’s spiritual or religious needs as he or she copes with illness, loss, grief or pain and can help him or her heal emotionally as well as physically, rebuild relationships and regain a sense of spiritual wellbeing. encourages us to seek peace with ourselves, others and what lies beyond. These experiences are part of being human; they are as present in people with a learning disability and other conditions, such as dementia or head injury, as they are in anybody else. Furthermore, spirituality often becomes more important in times of distress, emotional stress, physical and mental illness, loss, bereavement and the approach of death. All healthcare tries to relieve pain and to cure, but good health care tries to do more. Spirituality emphasizes the healing of the person, not just the disease. It views life as a journey, where good and bad experiences can help you to learn, develop and mature. Members of the Interfaith Healthcare Association of Manitoba draw inspiration from the beliefs and values of each of their judeo-christian heritage and seeks to provide an open, caring and compassionate environment that empowers individuals to draw on their own beliefs and practices for comfort, courage and strength, recognizing the invaluable healing powers of the human spirit. What difference can spiritual care make? Service users who engage in spiritual care and practices report better self-control, self-esteem and confidence, faster and easier recovery (often through healthy grieving of losses and through recognising their strengths), better relationships – with self, others and with God/creation/nature and a new sense of meaning, hope and peace of mind, which allows them to find healing (in distinction to cure) and to accept and live with continuing problems. Manitoba's Provincial Spiritual Health Care Steering Committee's Professional Education and Training Working Group have developed with partners , Manitoba's Core Competencies for Spiritual Health Care Practitioners in recruitment and evaluation of SHC practitioners. To view the Core Competencies, click HERE. 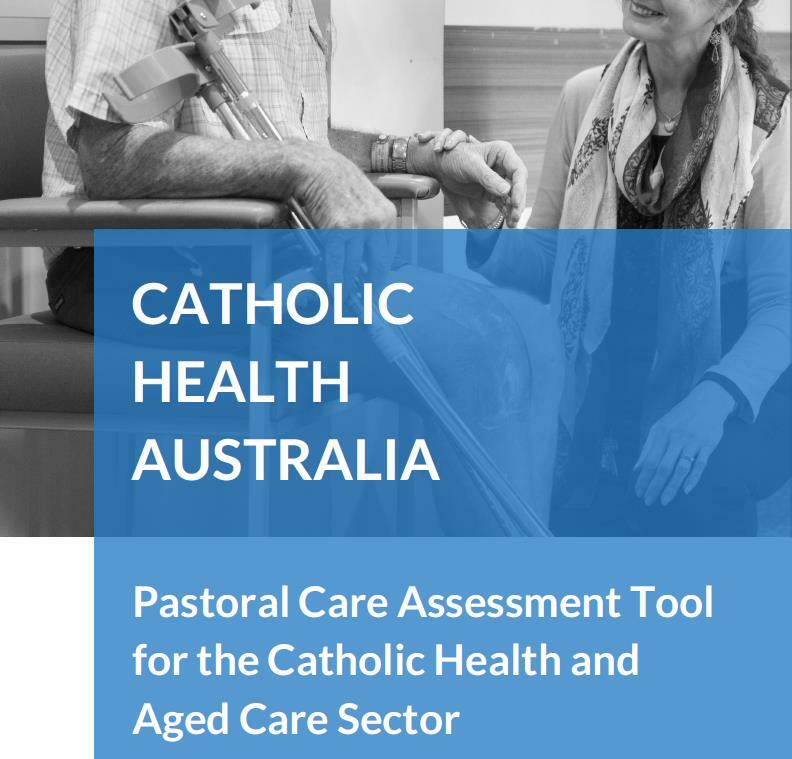 In 2015 Catholic Health Australia (CHA) undertook an extensive survey about pastoral care service provision in the Catholic health andaged care sector. The report analysing the findings of the survey can be found at the CHA Website (www.cha.org.au). The survey report included a range of recommendations. These have been used to develop the following pastoral care assessment tool. Individuals, teams and organisations can use the tool as a way of recognising strengths and determining areas for improvement. 1. Individual pastoral practitioners and managers self-assess how they perceive their service is performing against each of the focus area issues. 3. The team assessment is presented to the executive for consideration, agreement of priorities and development of a plan of action. 4. The plan of action is reviewed and updated on a regular basis. 5. The pastoral care assessment tool is revisited to assess progress and determine new priorities and action plans.